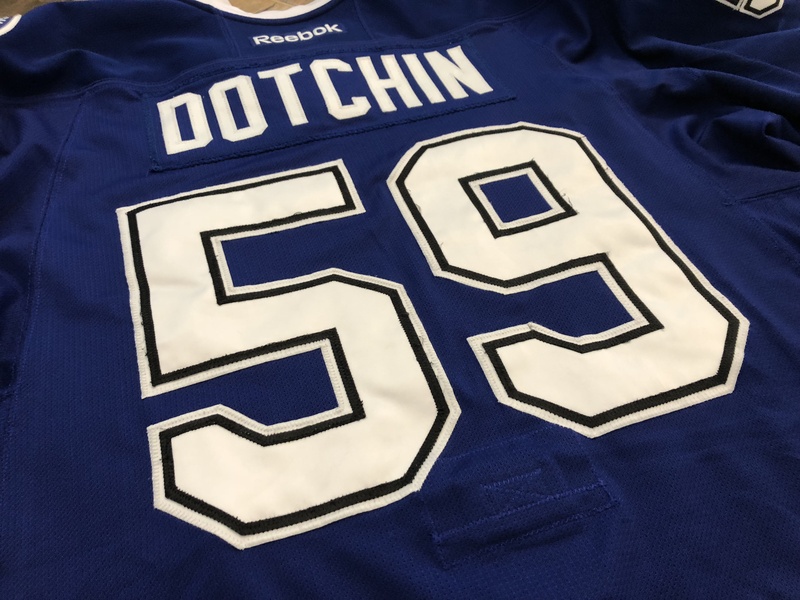 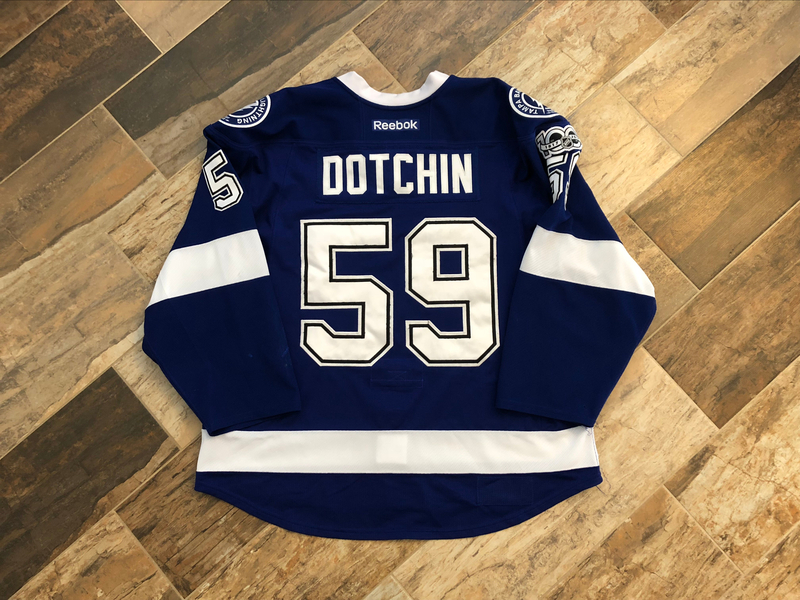 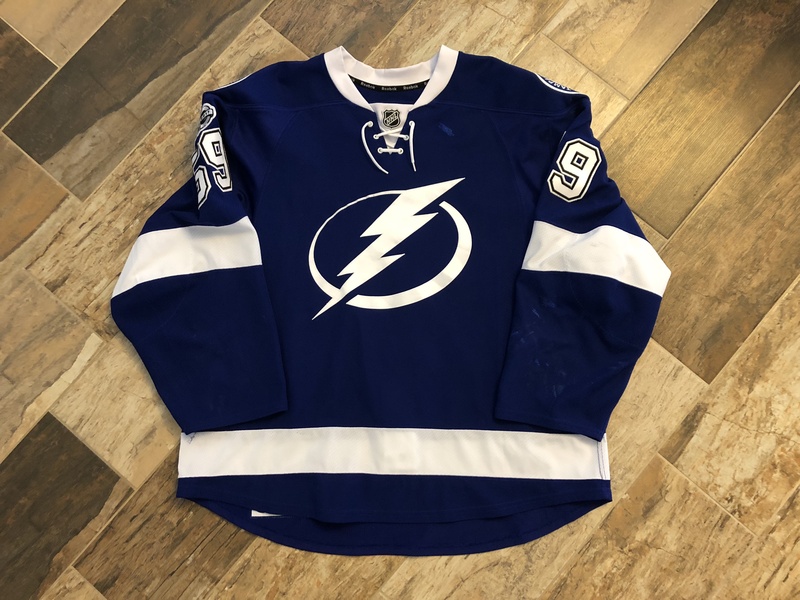 This jersey is from Jake Dotchin’s rookie season in the NHL. 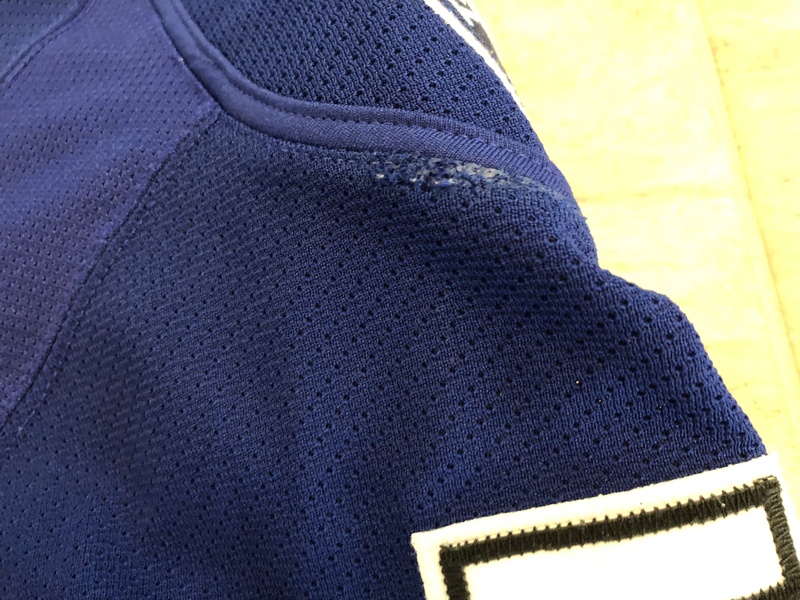 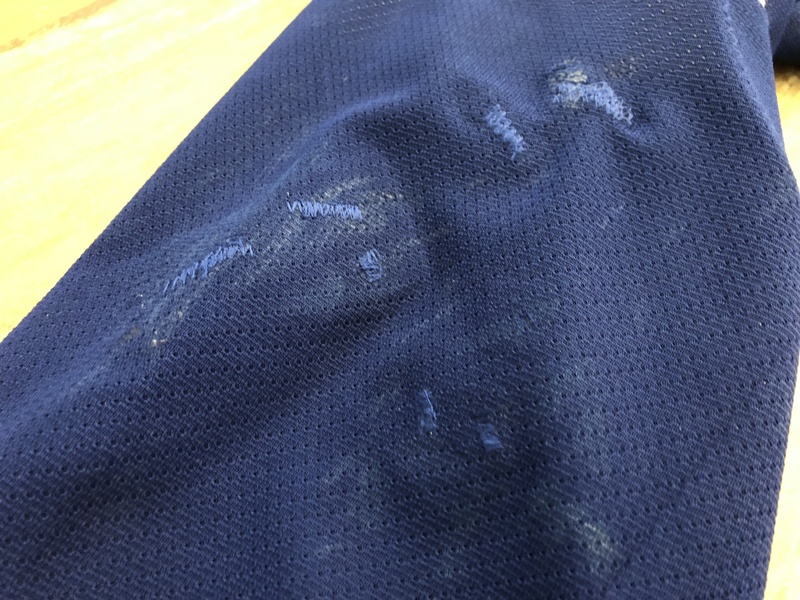 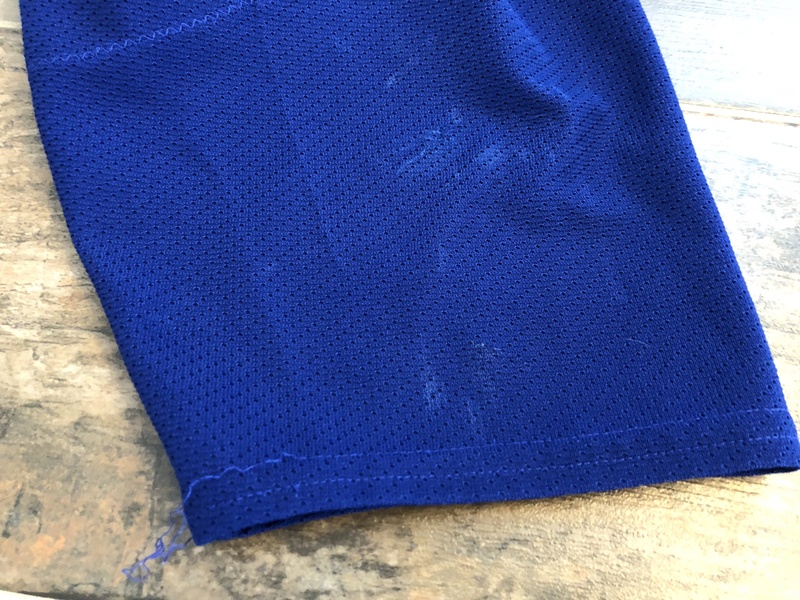 The jersey has awesome wear, with repairs all over both sleeves as well as by the collar on the chest. 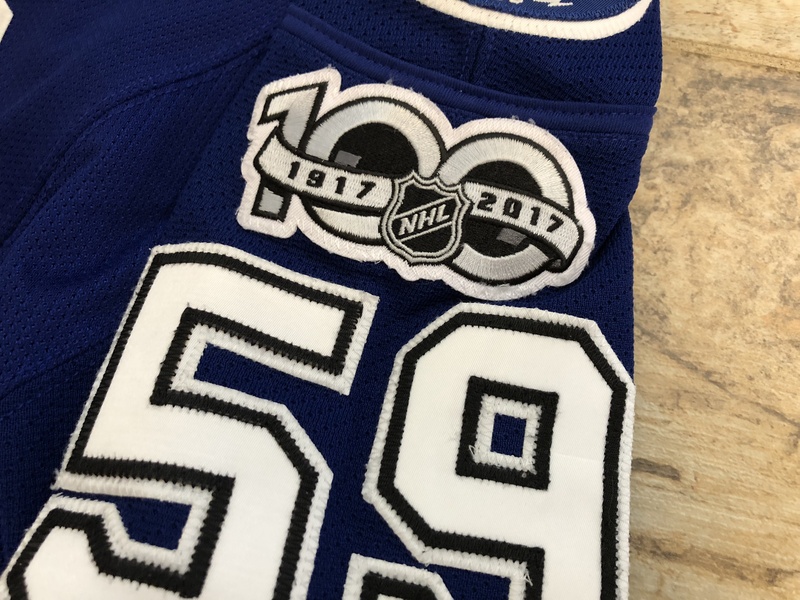 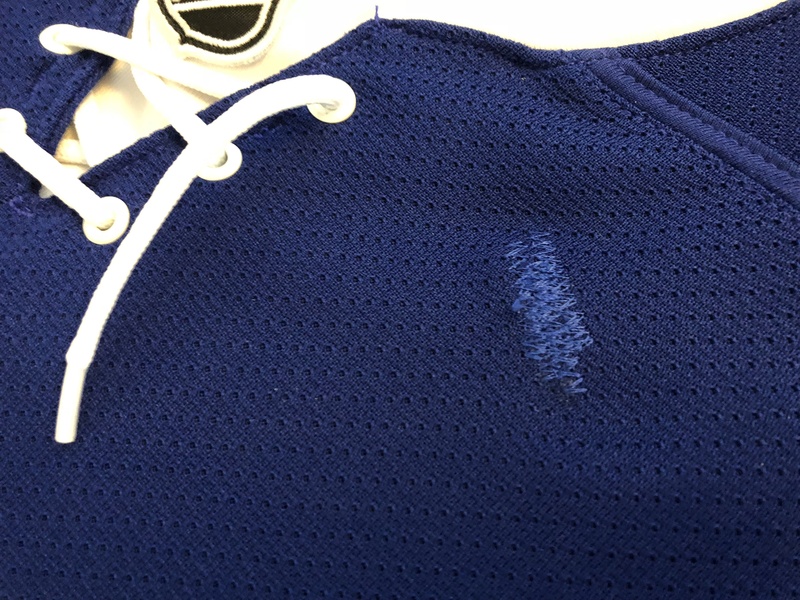 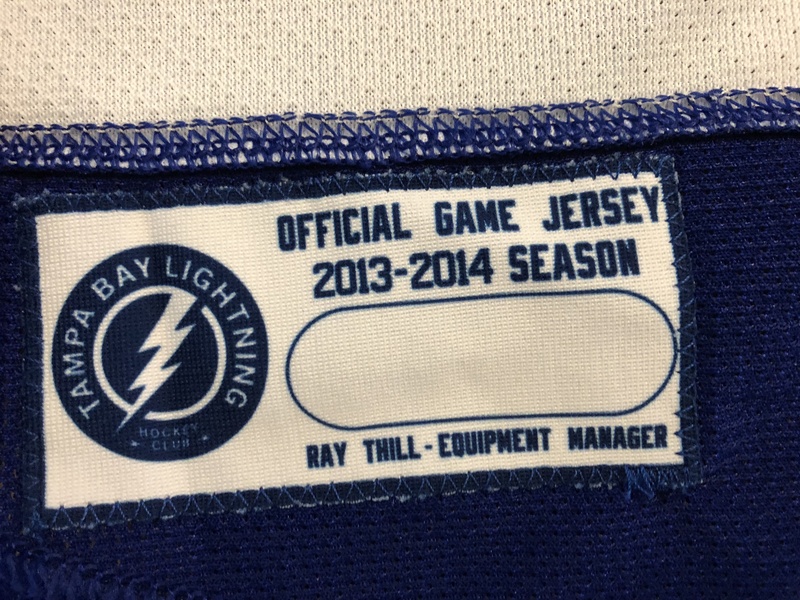 The jersey has the NHL 100 patch from the 2016-17 season, however the team has the jersey tagged with a tag from the 2013-14 season.